H&M printed pants, Topshop simple t-shirt, Topshop peplum jacket, Isabel Marant snakers and Yves Saint Laurent bag! 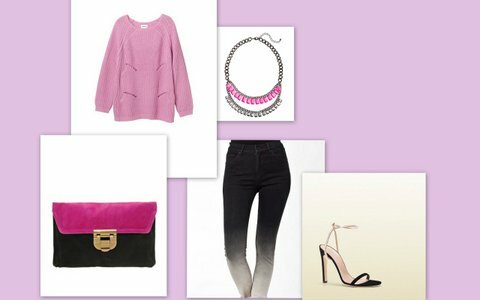 Monki pink knit, Cheap Monday washed jeans, Asos bicolor clutch, Gucci shoes! 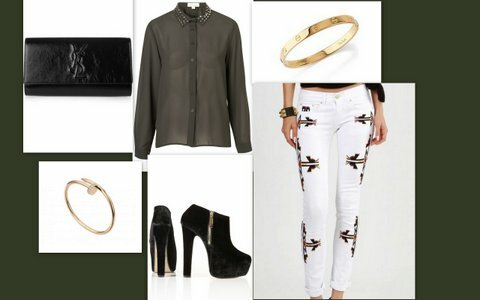 Topshop transparent blouse, Minusey jeans, Cartier bracelets, Asos velvet boots, Yves Saint Laurent clutch! Romwe yellow knit, Miss Selfridge leather skirt, Miss Selfridge studded belt, Topshop boots and socks, Cambridge Satchel bag, Asos necklace!